There was a time when the sound of an approaching carnival signaled a rare chance to see people and things only imagined of in dreams (or nightmares). 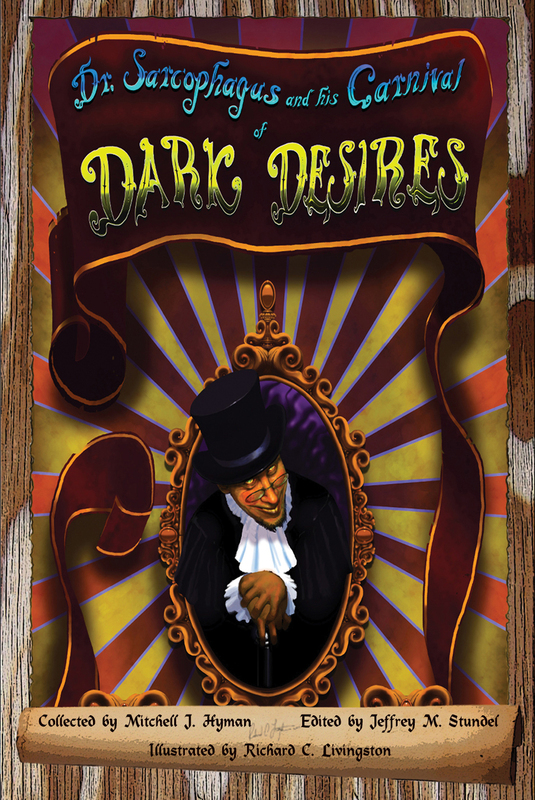 Dr. Sarcophagus and his Carnival of Dark Desires harkens back to a less informed and jaded era when there was more unknown than known, and the strange and unexpected caused equal measures of fear, fascination and revulsion. The good doctor invites you to meet his very special "family" – all he asks for are an open mind and a few of your coins. And, of course, your willingness to explore your darkest desires. Barking Mad: Mind your words before you "speak"
An anthology of short stories written by some new names in the horror genre, Dr. Sarcophagus and his Carnival of Dark Desires is set in a traveling sideshow in the early 1930s. Dr. Sarcophagus is the leader of - and father figure for - a strange assortment of individuals (and items) who have found a home - and a family - within the canvas tents. Copyright 2011 Words Take Flight Books™. All rights reserved.